RANDOLPH, John, (nephew of Theodorick Bland and Thomas Tudor Tucker, half brother of Henry St. George Tucker), a Representative and a Senator from Virginia; born in Cawsons, Prince George County, Va., June 2, 1773; known as John Randolph of Roanoke to distinguish him from kinsmen; studied under private tutors, at private schools, the College of New Jersey (now Princeton University), and Columbia College, New York City; studied law in Philadelphia, Pa., but never practiced; engaged in several duels; elected to the Sixth and to the six succeeding Congresses (March 4, 1799-March 3, 1813); one of the managers appointed by the House of Representatives in January 1804 to conduct the impeachment proceedings against Judge John Pickering, and in December of the same year against Supreme Court Justice Samuel Chase; unsuccessful candidate for election in 1812 to the Thirteenth Congress; chairman, Committee on Ways and Means (Seventh through Ninth Congresses); elected to the Fourteenth Congress (March 4, 1815-March 3, 1817); was not a candidate for reelection in 1816 to the Fifteenth Congress; elected to the Sixteenth and to the three succeeding Congresses and served from March 4, 1819, until his resignation, effective December 26, 1825; appointed to the United States Senate on December 8, 1825, to fill the vacancy in the term beginning March 4, 1821, caused by the resignation of James Barbour; served from December 26, 1825, to March 3, 1827; unsuccessful candidate for reelection to the Senate in 1827; elected to the Twentieth Congress (March 4, 1827-March 3, 1829); was not a candidate for reelection to the Twenty-first Congress; chairman, Committee on Ways and Means (Twentieth Congress); member of the Virginia constitutional convention at Richmond in 1829; appointed United States Minister to Russia by President Andrew Jackson and served from May to September, 1830, when he resigned; elected to the Twenty-third Congress and served from March 4, 1833, until his death in Philadelphia, Pa., May 24, 1833; interment at his residence, 'Roanoke,' in Charlotte County, Va.; reinterment at 'Hollywood,' Richmond, Va.
Papers: 25 family letters in U.S. Representatives' papers, 1772-1946. Papers: 1806, 1813. 2 letters. Papers: Correspondence in Forman-Bryan-Screven family papers, 1797-1901. Finding aid. Papers: Correspondence in Thomas P. Cope letterbooks, 1788-1853, on 4 microfilm reels. Papers: Correspondence in James Russell Lowell, Lowell-Gay papers, 1791-1829. Papers: 6 containers of photocopies of letters (1742-1835) in the Edward C. Walthall family papers; and 1 microfilm reel of letters to Harnamus Bleecker, originals in University of Virginia Library. Papers: 44 letters (1779-1833) in various collections. Papers: In Women's Club of Orange records, 1872-1974. Papers: 1793, 1823. 2 items. Papers: 1795-1829. 48 items. In part photocopies. Letters about family affairs to his stepfather St. George Tucker, and a slave bill (1829) signed by Randolph. Papers: July 19, 1904 and August 27, 1804. 2 letters. Papers: Letters (1805-1815) in Dillon and Polk family papers, 1805-1912. Papers: In correspondence relating to the Henry Clay-John Randolph of Roanoke duel, March 31-April 6, 1826. Papers: Political correspondence in Weldon Nathaniel Edwards papers, 1816-1870. Papers: Letterbooks (1806-1832) containing 343 letters between Randolph and James Mercer Garnett in Hunter family papers, 1704-1940; and 1 foot of family, personal and political papers (1788-1833, 1860) in various collections. Finding aid. Papers: Correspondence (1799-1832) and other papers of Randolph in Grinnan family papers, 1645-1945; letters in Robert Lee Taylor papers, 1752-1920; miscellaneous items in various collections; photographs; and portraits. Papers: 1798-1832. 67 letters. In part transcripts and photocopies. Additional Papers: In William Cabell Bruce collection of papers relating to John Randolph of Roanoke, Nathaniel Macon, Creed Taylor, R.N. Venable, and James M. Garnett, 1791-1922; Garnett-Mercer-Hunter family papers, 1713-1853; Tazewell family papers, 1756-1931; James Mercer Garnett papers, 1806-1840; and portraits. Papers: In Evarts family papers, 1753-1960; John Trumbull papers, 1750-1961, available on 10 microfilm reels; Anson Conger Goodyear collection, 1813-1890; Roger Griswold papers, 1784-1812; and Colonel John Brown and Major General Preston Brown papers, 1763-1865. Research Libraries Information Network In addition to the institutions listed above, items are also cataloged in collections at: Stanford University Libraries, Stanford, CA; University of Iowa Libraries, Iowa City, IA; and University of Rochester, Rush Rhees Library, Rochester, NY. Adams, Henry. John Randolph. 1882. New ed., edited by Robert McColley. Armonk, NY: M.E. Sharpe, 1996. Bouldin, Powhatan. Home Reminiscences of John Randolph of Roanoke. Richmond: Clemmitt & Jones, 1878. Brant, Irving. "John W. Eppes, John Randolph, and Henry Adams." Virginia Magazine of History and Biography 63 (July 1955): 251-6. Bruce, William Cabell. 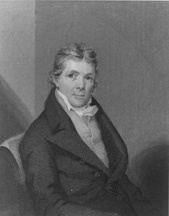 John Randolph of Roanoke: 1773-1833: A Biography Based Largely on New Material. 2 vols. 1922. Reprint. New York: Octagon Books, 1970. Carson, David A. "That Ground Called Quiddism: John Randolph's War with the Jefferson Administration." Journal of American Studies 20 (April 1986): 71-92. Corts, Paul R. "Randolph vs. Clay: A Duel of Words and Bullets." Filson Club History Quarterly 43 (April 1969): 151-57. Dabney, Richard H. John Randolph, a Character Sketch. 1898. New ed. Milwaukee: H.G. Campbell Publishing Co., 1903. Daly, Mason G. "The Political Oratory of John Randolph of Roanoke." Ph.D. dissertation, Northwestern University, 1951. Dawidoff, Robert. The Education of John Randolph. New York: W.W. Norton & Co., 1979. Garland, Hugh A. The Life of John Randolph of Roanoke. 2 vols. 1850. Reprint of 1859 ed. (2 vols. in 1). St. Clair Shores, MI: Scholarly Press, 1970. Hines, Jack Wendell. "John Randolph and the Growth of Federal Power: The Opinions of a States Righter on the Political Issues of His Time." Ph.D. dissertation, University of Kansas, 1957. Johnson, Gerald White. Randolph of Roanoke: A Political Fantastic. New York: Minton, Balch & Co., 1929. Jordan, Daniel P. "John Randolph of Roanoke and the Art of Winning Elections in Jeffersonian Virginia." Virginia Magazine of History and Biography 86 (October 1978): 389-407. Kirk, Russell. John Randolph of Roanoke: A Study in American Politics, with Selected Speeches and Letters. 1951. 3d ed. Indianapolis: Liberty Press, 1978. Originally published as Randolph of Roanoke: A Study in Conservative Thought. Randolph, John. "Letters of John Randolph, of Roanoke, to General Thomas Marsh Forman." Virginia Magazine of History and Biography 49 (July 1941): 201-16. ___. Letters of John Randolph, to a Young Relative. Philadelphia: Carey, Lea & Blanchard, 1834. Sawyer, Lemuel. A Biography of John Randolph, of Roanoke. New York: W. Robinson, 1844. Shorey, Kenneth, ed. Collected Letters of John Randolph of Roanoke to Dr. John Brockenbrough, 1812-1833. New Brunswick, NJ: Transaction Books, 1988. Spaulding, Thomas M. "Clay versus Randolph." Michigan Quarterly Review 1 (Winter 1962): 8-13. Stokes, William Ewart, Jr. "Randolph of Roanoke: A Virginia Portrait. The Early Career of John Randolph of Roanoke, 1773-1805." Ph.D. dissertation, University of Virginia, 1955. Thomas, Frederick William. John Randolph, of Roanoke, and Other Sketches of Characters, Including William Wirt. Philadelphia: A. Hart, 1853. Wendelken, David H. "The Rhetoric of John Randolph of Roanoke: A New Evaluation." Ph.D. dissertation, Ohio University, 1984.